Lifelines III Wins in Houston! Whoo-hoo! I'm flying high this morning. My quilt, Lifelines III: Can Something Come from Nothing has won first prize at the International Quilt Festival in Houston. I'm stunned really! This quilt was so much fun to make. It was total playtime! In addition to the "caveman" (improvisational) piecing, the free motion couching with the Bernina free-motion couching foot worked like a charm. The quilt basically built itself and grew out of spontaneity. The past couple of years I began playing with inserting long, skinny, "V-shaped" wedges into my patchwork, similar to putting in a gusset only way longer and skinnier than normal. I called these inserts "lifelines" because they reminded me of the lifelines on our palms. In this case, I also wrote a poem and stitched it into the quilting. The lines of a poem can also be called "lifelines" if they have some sort of life message. Here's the poem. Can something come from nothing? Can we stop the hands of time? And the past is left behind. 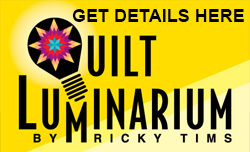 Your first place winning quilt is so awesome! You are such an inspiration to me. Someday.....I hope to be able to go to one of your retreats in LaVeta. I was fortunate enough to go see you in Socorro,NM last August. 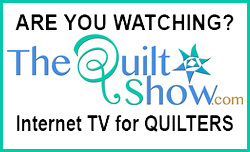 Keep up the happy quilts! I think this is my favorite quilt of yours and that is saying bunches! I truly love most of them a LOT. Kudos to you once again. What you sid Carol, yes I agree. You teach us all that taking risks is easier in some parts of our lives more than others! I'm getting riskier every year so I'm keeping you and your ideas close by! Ricky you are a true testiment to this... "The best things in life don’t happen unless we take risks." This is what this quilt means to me. It shows us how to take risks and throw our heart out onto the table. Be who we are and hope people accept us. Always be real. Never fake. Smile when we’re happy, cry when we’re sad. Never hold emotions inside. Let ourselves risk getting hurt. Let ourselves try something new. Follow our heart and do what we feel is right, not what other people tell us to do. Take a chance. It could bring either pleasure or pain, sometimes both. Life is a gamble, and we never know what it’ll bring. Live in the moment and don’t dwell on the past. Find the good in everybody, think positive and do positive. Break the rules and take the chance in getting caught. Thanks for breaking the rules Ricky and helping us find our way. Truly love this quilt!!!! Oh boy, that was a mouthfull. Congratulations ! 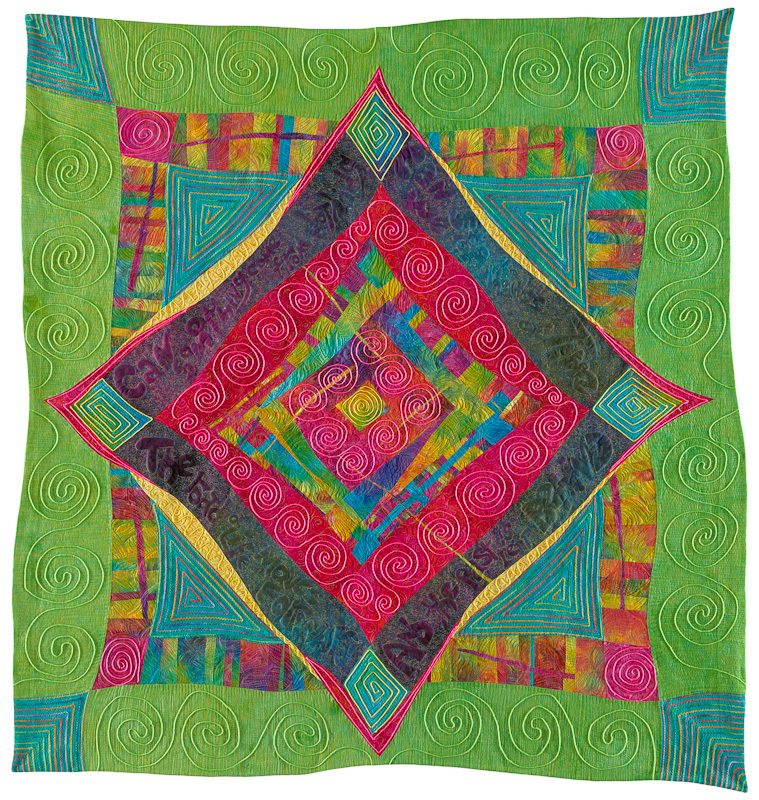 It is a lovely quilt in a long line of lovely quilts! Congratulaation s! I LOVE this quilt! In fact I love Most of your quilts. This one is a real inspiration to me. I saw you using the Bernina free-motion couching foot on TQS. Thank you. Sometimes too much planning overwhelms the quilt. Congratulations from Australia. 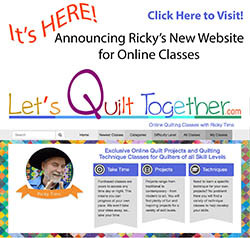 Queensland Quilters were lucky to have this quilt as the cover for our seminar book when Ricky visited us in September. Woo Hoo! !